I'm Clarissa, a University Student from California. I created this website to document the year (08-09) I spent studying abroad at the University of St. Andrews in Scotland. This is the blog where I've posted regular updates on the goings-on during my time there. It has personal views on the crazy St Andrews traditions like Raisin Weekend and the May Dip. It also has descriptions of some of the more civilized events like High Table and other special dinners. If you'd like to go right to the beginning with Freshers Week and Orientations click here. This page has pictures of my adventures. There are tons of them and they include photos of all the fun and crazy times at St Andrews, including lovely pictures of St Andrews in the Snow , some of the Wardlaw 'Castle' of Uni Hall and scenic pictures of places in Scotland. St. Andrews is a really beautiful place. I chose it because of the fact that it is in a small town and not in a city like many of the other universities I could have chosen. It's located on the coast, so it has two lovely beaches. It also has castle ruins and tons of old buildings including part of the Hall I lived in. For those who're about to experience life at St, Andrews, this site can help prepare you. For those who've been at St. Andrews, it can help you reminisce. And for those who've never known what's like, and are curious, I invite you see it through my eyes. 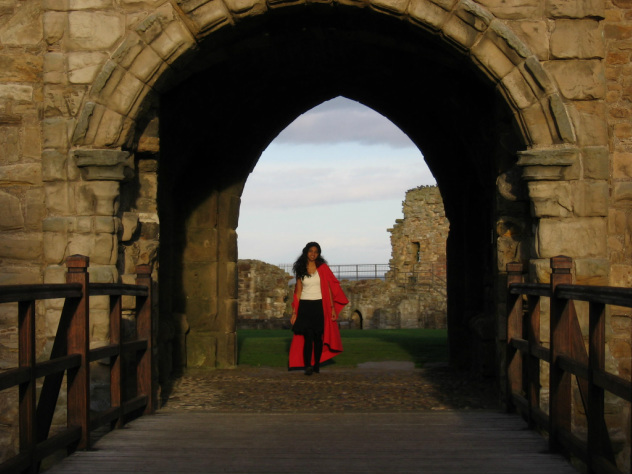 I invite you now, to take a journey into St Andrews, Scotland through this site. PS. If you would like to contact me click here or use the link at the top of the page. I would love to hear from you, answer any questions you have about St Andrews or Studying Abroad and would also love to know what you think of my site!